I had the honor of participating in George Bush’s inaugural ceremonies, in a special way. 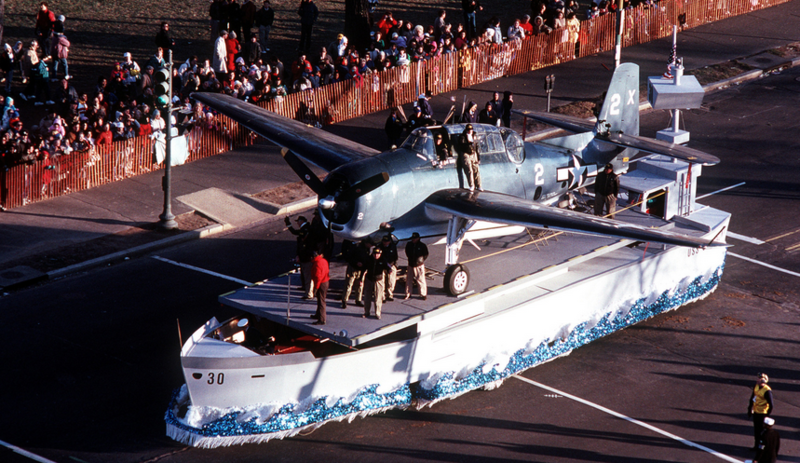 We took a World War Two TBM Avenger – identical to the one flown by Bush during the war – to Washington where it was included in the official parade. If you look closely, that was me standing on the wing beside to cockpit. Sitting in the cocpit was my late friend, Buddy Irwin, a Vietnam Marine and CIA veteran. He was a test pilot on the Fi-16 fighter project. 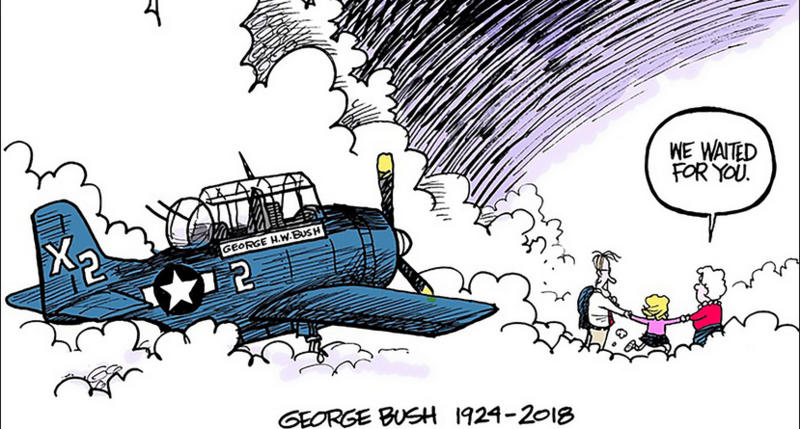 The cartoon shows his wife Barbara and daughter greeting him on his last touch down.